Is China Winning the Trade War? 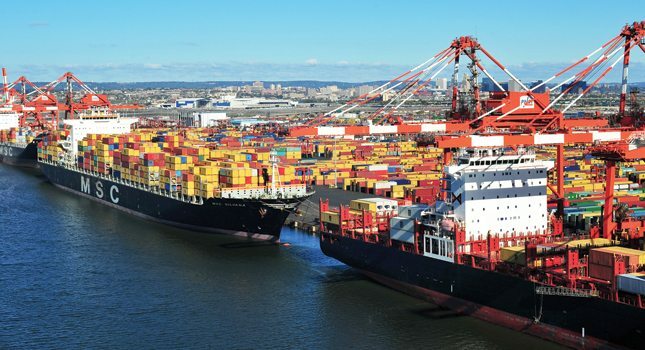 NJBIA > NJBIA News & Opinion > Is China Winning the Trade War? The magazine Industry Week is reporting that the U.S. has lost $40 billion in exports thanks to retaliatory tariffs by China, indicating they have had a far more severe impact than the tariffs the U.S. imposed on their Chinese counterparts. Calculations by the Institute of International Finance (IIF) indicate the U.S. has seen its exports to China cut by one third in 2018, although that was from a record $130 billion in U.S. goods and services exported to China in 2017. “The collapse in U.S. exports to China highlights the mounting economic cost of the trade war and one big reason why (President Donald) Trump has been increasingly eager to strike a deal with China as he gears for his re-election campaign next year,” the magazine states. Industry Week says U.S. tariffs on $250 billion in imports from China slowed shipments of the targeted products to U.S. shores, according to findings from the Institute of International Finance (IIF) published earlier this year. But an IIF study of China’s retaliation leading to a collapse in many of the roughly 900 categories of targeted American products. “Official statistics have already documented a steep fall in U.S. exports to China,” the magazine pointed out. “In November last year, the most recent month for which data is available, the U.S. exported $8.7 billion in goods to China, according to official data. That was down $4.1 billion from the same month in 2017.